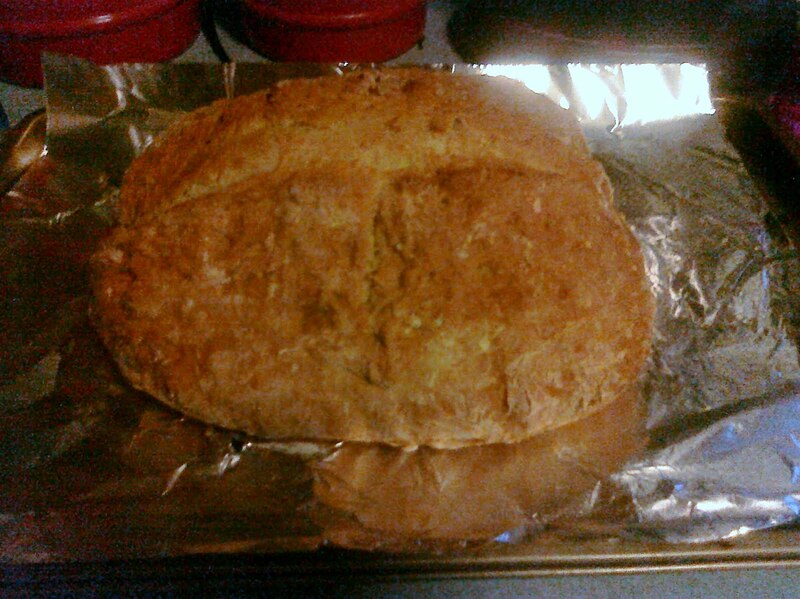 >I love Irish Soda Bread. It’s hearty and thick and a little heavy. It’s the perfect companion for a heart soup or chili. Maybe it was today’s dip back into winter, but I just felt like making it. The best part of this recipe is that it’s all ingredients that are always in my kitchen. Whisk together milk, lemon juice and yogurt and let sit for 10 minutes. Make a well in the flour mixture and slowly pour in the milk mixture. Combine by pulling flour from the edges into the middle to form a soft, not sticky, dough. Turn the dough on to a lightly floured surface and knead for five minutes or until smooth. Shape dough into an 8″ round and place on a greased baking sheet. With a sharp knife, cut a deep cross on the top of the dough. Bake for 30-35 minutes. Cool slightly on a wire rack before serving.